At face value through basic research, the Accord beats the ILX by a mile. But there’s a big reason for that: the base Accord will not come with any bells and whistles! Not even remote start in the base LX trim. When both vehicles have similar mileage and come equipped with comparable features, a used ILX will be around $3,000 more expensive than a used Accord (with the base 2.4-liter engine). For example, a certified 2016 Honda Accord Touring with less than 10,000 miles could range from $25,000 to $27,000, while a certified 2016 Acura ILX with the Advance Package and Navigation could range from $28,000 to $30,000. While the ILX is actually based on the Honda Civic, its size is really in between that of the Civic and Accord, making it better to compare the ILX and Accord. The ILX’s dimensions are 182 inches length x 71 inches wide x 56 inches height, with a curb weight that tops out at 3,137 lbs. The Accord’s dimensions are 190 inches length x 73 inches wide x 57 inches height, with a curb weight that tops out at 3,605 lbs when equipped with the V6 engine option in the Touring trim. Given these exterior dimensions and overall weight, the base ILX will outperform the base Accord due to the power difference and weight difference. 2016 Acura ILX: 2.4L 4-cylinder 8-DCT; 201 horsepower. 2016 Honda Accord: In-Line 4-cylinder; 185 horsepower. While the 2016 Honda Accord does offer an engine upgrade, you’re going to have to pay for it by buying the most expensive trim levels. 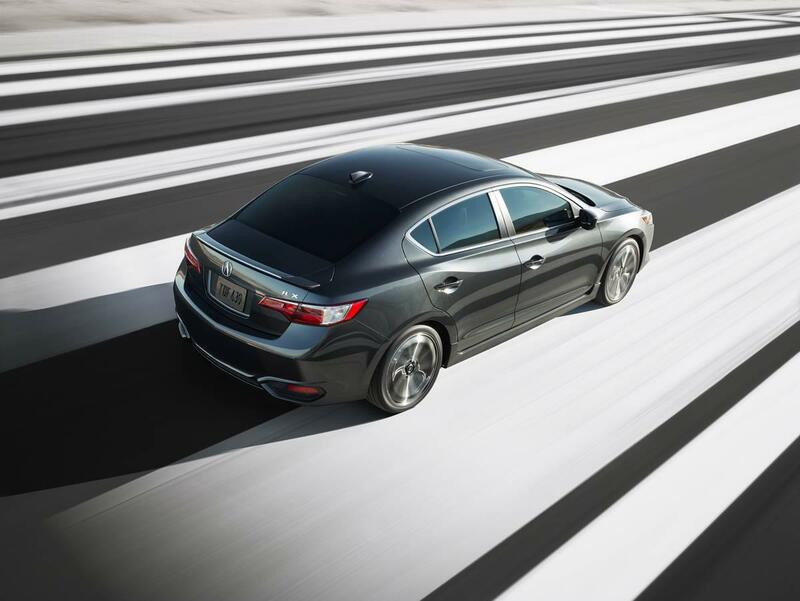 The 2016 Acura ILX keeps things consistent between every single model. When it comes to Honda’s vehicles, you’re not exactly going to get the very best in luxury, tech, and creature comforts. They’re built for frugality and cutting costs rather than having a comfortable vehicle for trips near and far. 2016 Acura ILX: On Demand Multi-Use Display – touch screen capable of entertainment, climate control and more – all at your fingertips. High-end safety systems. Comfortable and luxurious interior. 2016 Honda Accord: Typical Honda tech such as remote engine start, power moonroof, etc. Generally focused more on sparse frugality and function over form. Which is the Best Buy? Choosing the luxurious ILX will provide you with better quality material, enhanced features, and more engaging driving dynamics. But the Accord does offer more overall options for buyers that either want to save money or boost performance. It’s important to test drive both and dig into other points, such as certified pre-owned warranty, longterm reliability, and resale value. Given that the prices are so close upfront, it will really come down to how you feel behind the wheel of either car that will ultimately help guide your decision.